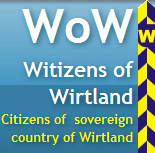 The Times of Wirtland: Virtlando means Wirtland - in Esperanto! Esperanto became the 6th language (after Bulgarian, English, Spanish, Russian, Czech) of Wikipedia's article about Wirtland. 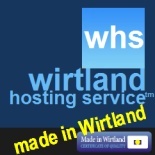 The article is titled "Virtlando" - quite a beautiful new name for Wirtland! See article here - if you read in Esperanto. Esperanto is the most widely spoken artificial international language, invented in 1887. The word esperanto means "one who hopes" in the language itself. Esperanto has had continuous usage by a community estimated at between 100,000 and 2 million speakers for over a century, and approximately one thousand native speakers. Google has a special Esperanto portal. Esperanto is also the language of instruction in one university - the Akademio Internacia de la Sciencoj in San Marino. However Esperanto intends to be an auxiliary language, or a second language for all. Please see http://www.lernu.net for confirmation. I'll see with some of my colleagues if we find some time this weekend, we might translate the Wikipedia page to Hungarian and Serbian too.